Garces Memorial is a Catholic, coeducational, college preparatory high school. It is fully accredited by the Western Association of Schools and Colleges and by the Western Catholic Education Association. Garces Memorial offers a rigorous college preparatory curriculum that prepares the students to succeed in a higher academic setting. Garces Memorial offers a core curriculum with classes that meet California State Standards and UC approval. The school focuses on maximizing learning for all students by offering various curricular programs. In the 2013/2014 school year, Garces Memorial implemented a 1:1 iPad program. The school integrates technology into the teaching and learning process. Students beginning with the class of 2019, have the opportunity to enroll in our STEM classes, Introduction to Engineering Design, Principles of Engineering, and Civil Engineer-ing and Architecture. Valid grades which are printed on the grade report and transcript record and are used in computing the G.P.A. include: A, B, C, D (including a "+" and "-"), F and I (Incomplete which is computed as an F). Valid grades which are printed on the grade report and transcript record but are not used in computing the G.P.A. include: WP (Withdrew Passing), WF (Withdrew Failing), NG (No Grade) and P (Pass). Note: courses taken during Garces Memorial High School Summer School are not calculated into the Garces GPA. The assigning of an "NG" as a course grade is solely at the discretion of the instructor. The student will respond to all homework and course expectation to the best of his/her ability. The student will respond to all quizzes and examinations to the best of his/her ability. The student will respond to all behavior, tardy, and absence expectations and policies as established by the instructor and the school. The instructor may exercise the option of changing the course to a graded experience should the student not respond to the above expectations. It is the responsibility of the instructor to inform the student of this change as soon as the decision is made. Grade changes submitted to the Principal after the Grade Reports are due from the instructional staff (for any marking period or semester grade) will be accepted only for reasons of clerical or computational error. Such grade changes will be documented and explained in conference with the Principal. This grade change policy is not applicable in those cases in which the student missed the examination due to extenuating circumstances and needs to remove an Incomplete ("I") grade. According to school grading policy as printed in the Parent/Student Handbook and Departmental Grading Policy it is mathematically impossible for a student to receive a marking period or semester grade that is higher than the grades posted for that particular grading period. Grade point values and departmental evaluation weightings will apply in computing marking period and semester grades. All honors are based on the student's grade point average (G.P.A.) as determined by academic year semester grades. A weighted G.P.A. is used to compute the Honor Roll. Students achieving a weighted G.P.A. of 3.50 and above will receive this honor. A "D" or "F" in any subject disqualifies a student from the Honor Roll.  Student Aide and NG grades are not computed in the G.P.A. The Honor Roll is posted two times a year based on first semester and second semester grades. Students must complete all requirements ofr a diploma, including service hours, to participate in all graduation ceremonies. Exceptions to this requirement will be at the discretion of the rector with consulation from the principal. Students must remediate, in summer school, all grades of “F” earned in a current school year prior to the beginning of the following school year. A minimum of 280 units to graduate plus Community Service. Note: The remaining units needed to reach the 280 unit minimum are courses chosen by the student in consultation with the assigned counselor. Requirements for a diploma and participation in graduation ceremonies. All Community Service hours for graduating seniors are to be completed and documented with the Community Service Hours coordinator by the last day of Senior Final Exams. To receive a Garces Memorial diploma a student must attend Garces both semesters of his/her senior year. Garces expects that any student who desires a diploma will successfully complete a total of four years in high school. Students who apply as transfers to Garces and wish to receive a Garces Memorial diploma having attended high school for LESS THAN FOUR YEARS will be advised to enroll at another high school or complete the requirements for a graduation.